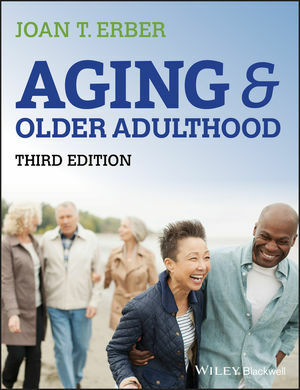 The third edition of this essential text has been updated and expanded with new material that reflects the most recent developments in the field, and explores our current understanding of a broad range of topics related to aging and older adulthood. JOAN T. ERBER is Professor Emeritus of Psychology at Florida International University, where she was a recipient of a State University System Professorial Excellence Program (PEP) Award. She has extensive experience teaching undergraduate and graduate courses in adult development and aging. Her research focuses on aging and memory and how stereotypes infl uence our perceptions of older adults. Her research has been published in journals such as Psychology and Aging, Journal of Gerontology:Psychological Sciences, and Experimental Aging Research. Dr Erber is a Fellow of the Gerontological Society of America (GSA), the Association for Psychological Science (APS), and the American Psychological Association (APA). She is a past president of the APA's Division 20 (Adult Development and Aging). Her books include Aging and Older Adulthood, Second Edition, (Wiley-Blackwell, 2010) and Agingand Older Adulthood (Wadsworth/Cengage, 2005).